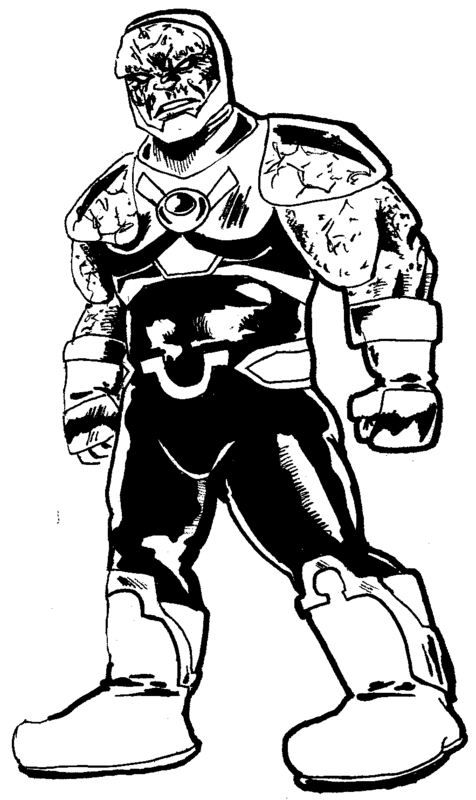 Like the previous Cyborg post, Darkseid is drawn because I needed a reference for a future drawing. Darkseid was also redesigned recently by Jim Lee, but unlike Cyborg, I like Jim Lee's design a little bit more. So I ended up not changing that much of the comic's design. I simplified some of the lines and made the boots look different, but it is relatively untouched. For me, simplicity is key to having a good costume design. There is a very specific need to have comic book characters' costume designs not be overly busy. It is time consuming to draw and is easy to go off model. If you don't believe me, look at how many different variations there are of Cyborg. No two artists can draw him the same. Random Thoughts on "Justice League: War"